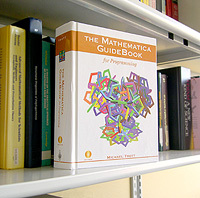 This is the homepage for the Mathematica GuideBooks, a four-volume exploration of Mathematica's application to classic and current problems in science, computer science, and visualization. July 2009: Wolfram|Alpha has enjoyed quite some attention, but required a good portion of time, so the Guidebooks will not come out in 2009. 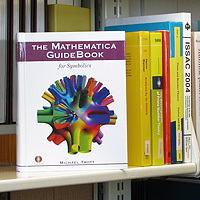 August 2008: Although Mathematica Version 6 has been released, updating the GuideBooks is taking longer than predicted. So, rather than having new versions in Summer 2008, the expected date is sometime in 2009. 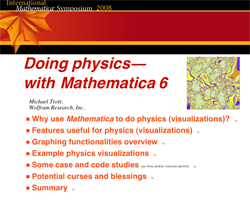 July 2008: For the 2008 International Mathematica Symposium Michael prepared a talk about doing physics with Mathematica 6. The .zip archive includes interactive examples, export examples, and some new and favorite animations. 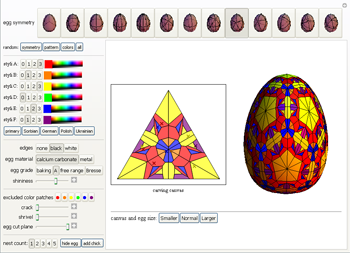 March 2008: A neat interactive way to decorate eggs for Easter. No mess in the kitchen! 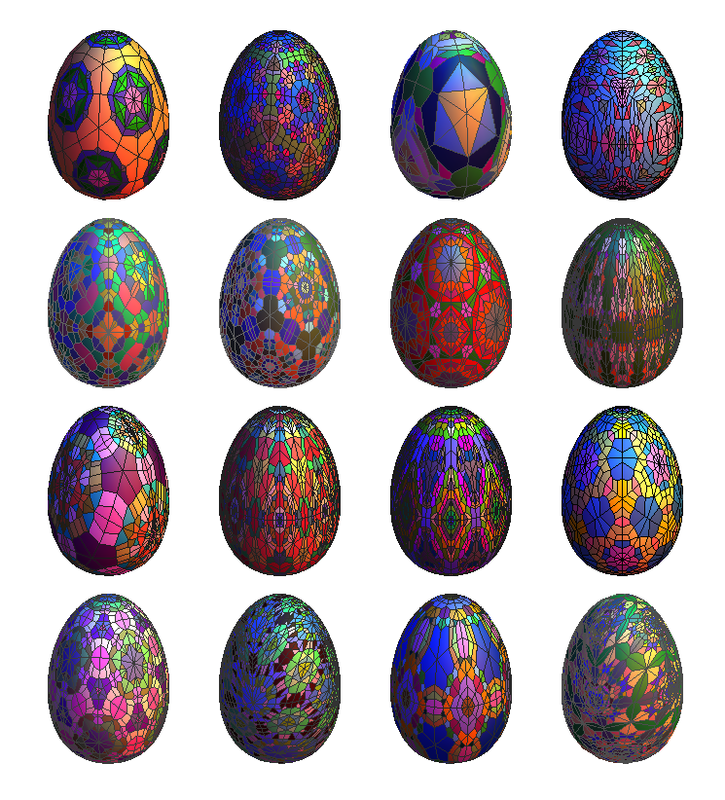 This Easter egg player notebook (2.2MB) lets you choose different colors and patterns for your eggs. The notebook will be expanded and included in the Version 6 edition of the Graphics volume. Note: the player notebook requires either Mathematica Version 6, or the free Mathematica Version 6 player. These sample eggs may give you some ideas. February 2008: Some excerpts of new, Version 6-based content for the second edition of the GuideBooks is available through the Wolfram Demonstration site. 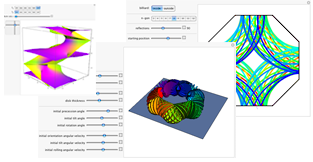 October 2007: At the Wolfram Technology Conference, Michael gave a talk about how to use Mathematica 6 computational and graphics capabilities to visualize Riemann surfaces. 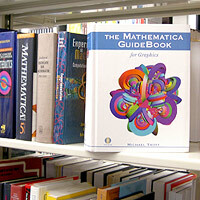 May 2007: Mathematica Version 6 is out, and the plan is to have updated editions of the GuideBooks in Summer 2008. For a glimpse from Chapter 2 of The Graphics GuideBook, read about the construction of the Version 6 logo image and download the notebook linked from Michael's blog post "Making the Mathematica 6 Spikey". Michael and some of his colleagues attend an award ceremony, at which NUMB3RS and its creators received a Public Service Award from the National Science Board. February 2007: Michael talks about the visualization of Bohmian mechanics, an interpretation of quantum mechanics, to gain insight into the microworld in "Inside the Image: Quantum Views," a science story on the Apple website by Angela DePace. 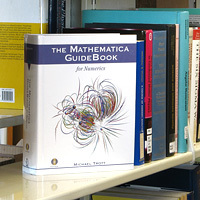 August 2006: The GuideBooks are mentioned in an Apple science profile about Michael Trott "The Science and Art of Mathematica" by Tim McIntire. June 2006: While creating some graphics for an article (including the cover picture) in American Scientist "The Topology and Combinatorics of Soccer Balls", Michael created 6 animations to explore morphings of soccer balls. These animations use code pieces from the GuideBooks about tori, polyhedra, knots, Riemann surfaces, and the Weierstrass elliptic function --- to bend a soccer ball (mathematically). October 2005: The Numerics GuideBook and the Symbolics GuideBook are now available. A gallery of a small selection of images from the four books has been added to this website. March 2005: The Appendix B notebook (494kB) provides an introduction to programming the Mathematica front end, along with dozens of programming applications. Evaluating Subsection B.8.2 will incorporate the GuideBooks into the Help Browser for convenient browsing and look-up. October 2005: All four GuideBooks are now available. The DVD-ROM of each volume comes with the evaluated notebooks of that volume. Each DVD-ROM also comes with the text and inputs from the other three volumes, but not those volume's outputs, graphics, or animations. Mathematica is the world's most comprehensive technical computing system. For details, visit the Wolfram website. 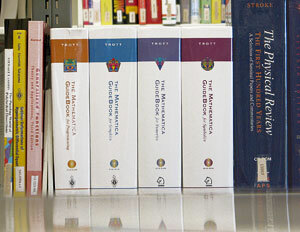 Amazon.com carries the Programming, Graphics, Numerics, and Symbolics volumes of the GuideBooks.